i have been trying to think of creative uses for yarn scraps lately. i saw a post on pinterest that inspired this, so i bought a hot glue gun (i know, i can’t believe i never had one until now). i used a remnant of some burgundy fleece that i bought on a whim at joann about a year ago, and some yarn scraps. i like how it turned out! 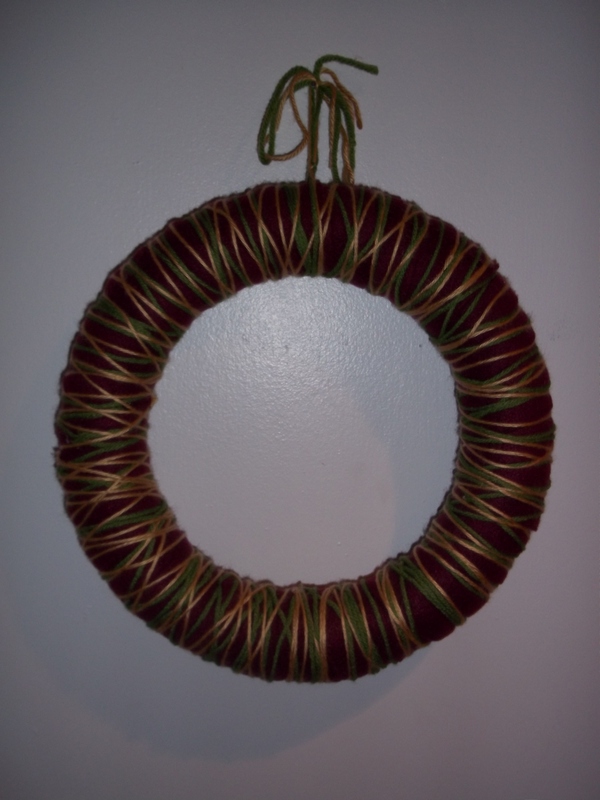 This entry was posted in Fun Stuff and tagged christmas, decorations, stashbuster, yarn wreath. Bookmark the permalink.